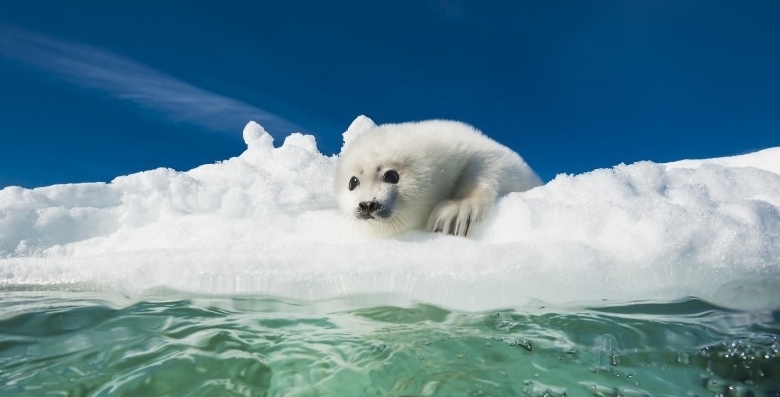 This is the adorable moment a baby harp seal braved the icy water as it went swimming for the first time. 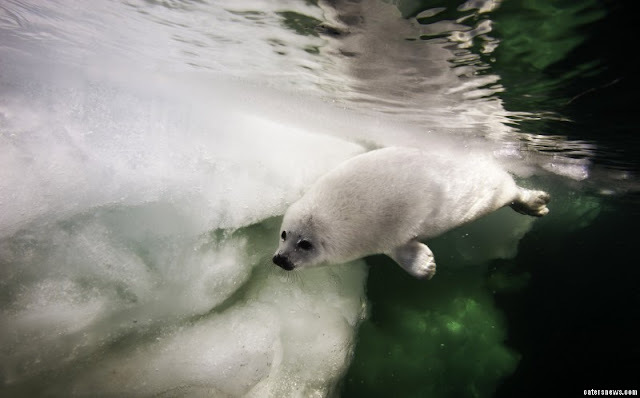 The fluffy two- week-old harp seal looked initially reluctant to get in as it was pictured tentatively waiting on the ice as its mum swam in the icy waters below. 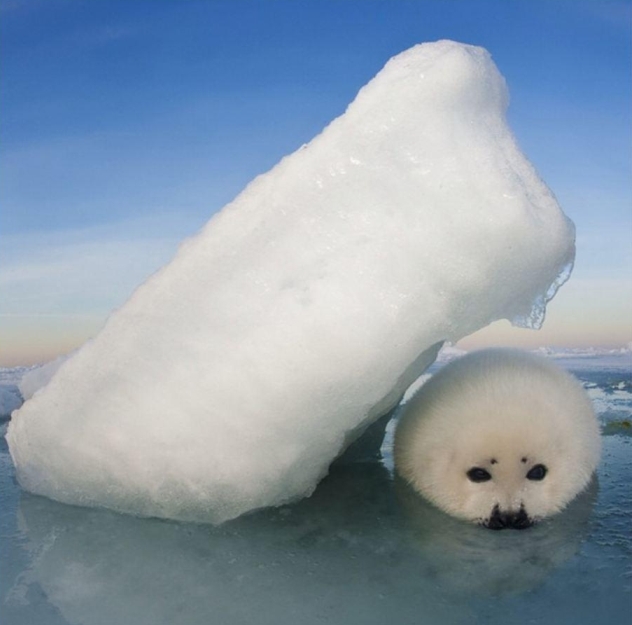 After a little while the fluffy baby harp seal cautiously tested the water by dipping it’s head in before it was encouraged to dive in by its mum. 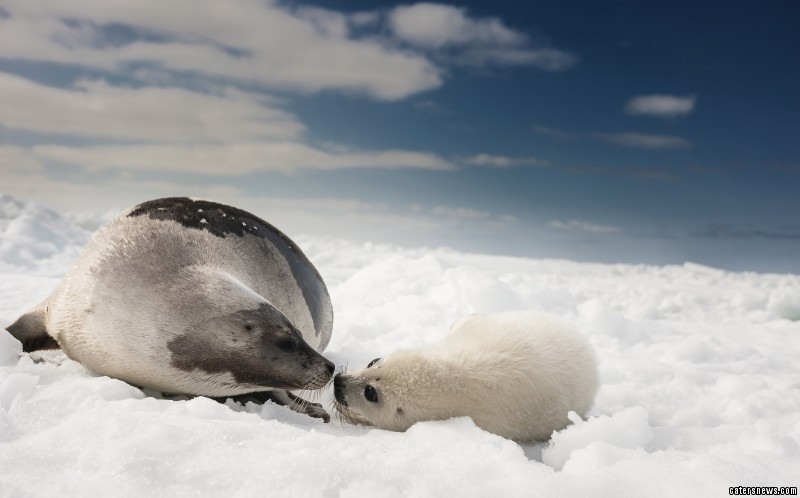 The mother seal can then be seen gently guiding the pup in the icy waters before giving her pup the seal of approval with a gentle kiss on the nose.Baby harp seals are taught to swim at a very young age as there’s a risk the ice could break at any time. This particularly touching encounter was captured in the Gulf of St Laurence, near Magdalen Island, Canada by photographers Jennifer Hayes and David Doubilet. 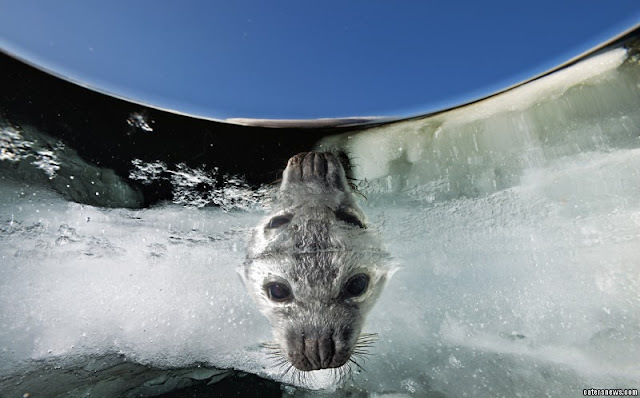 The couple spent 10 days photographing the seals where they braved the freezing waters in a bid to capture the moment on camera. Jennifer said she was even bitten by a seal in her pursuit to get the perfect photo. She said: “The harp seal females give birth to their pups, called white coats, on the ice in the Gulf of St. Lawrence in February. “The female will nurse the pup for 12 to 15 days. Then, she will abandon the pup so it learns how to eat, swim, and become a harp seal all on its own. It’s a tough beginning in a tough environment. “The curious pup would try to swim toward me and the mother used her flipper to physically hold it back. 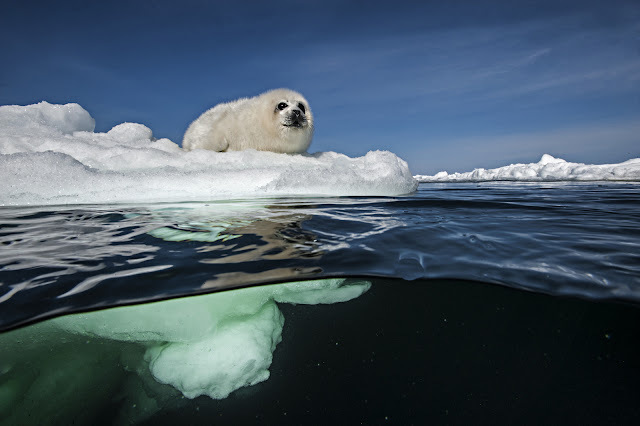 As we moved through the ice, the pup and I became closer and closer. 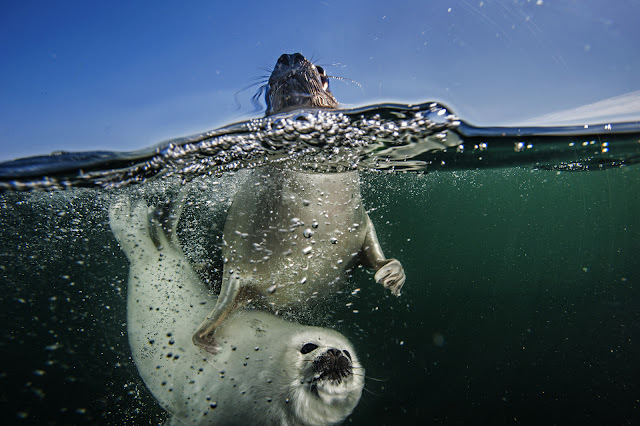 Responses to "Baby Seal Tests The Water On First Swimming Lesson With Its Mum"